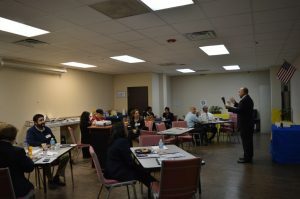 East Grand Preparatory, part of the Cityscape Schools System, hosted the first learning walk on January 24 in east Dallas. The campus employs a rigorous college readiness model which helps students prepare for the demands of a competitive world. The school was selected to model how leaders work with teachers as part of the professional learning communities each week. Campus administrators demonstrated how conversations with teachers are focused on student growth based on short cycle assessments and evidence found in student work. Teachers shared specific examples of student conversations and products to justify their viewpoints on how students were progressing within specific content areas. 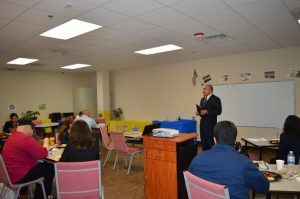 We would like to thank Dr. Marco Hinojosa for leading the training and congratulate East Grand Preparatory on the academic growth over the past two years. Cityscape earned marks of distinction in science, student progress, postsecondary readiness, and in the area of closing performance gaps on the state accountability system. If you are interested in attending one of the TCSA hosted Learning Walks, please register in the Learning Zone.